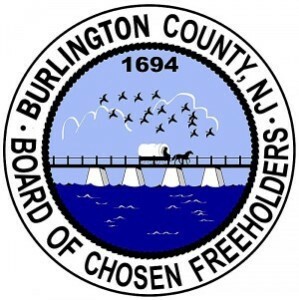 Burlington County Freeholder Mary Ann O’Brien has announced that the Burlington County Freeholders are seeking volunteers through the Clean Communities Office to participate in the first of three county park cleanup days scheduled to take place during September and October. “Last year, 144 volunteers donated over 332 hours to help cleanup at County Parks and events, collecting 2,540 pounds of litter,” O’Brien said. — Saturday, Oct. 1, 9 a.m. to noon, at Amico Island Park, Norman Avenue, Delran. Volunteers will help inventory and collect litter and debris along the trails and shoreline of this 55 acre Park. The litter that is inventoried and collected will then be submitted to the Ocean Conservancy to contribute to the International Coastal Cleanup database. This database contains litter and debris that is collected all over the world between Sept. 17 and Dec. 21. — Saturday, Oct. 29 from 9 a.m. to noon, at Pennington Park, 801 Creek Road, Delanco. For the sixth year, volunteers will help inventory and collect litter along the shoreline of the Rancocas Creek at this 140- acre park. Like the Amico Island Park cleanup, this cleanup is also a part of the Ocean Conservancy’s International Coastal Cleanup. Litter collected will contribute to an international litter database that will be released in 2017. Registration for these events is requested for planning, but feel free to just show up. Individuals should contact the Clean Communities office at cleancomm@co.burlington.nj.us, or (609) 499–1001, ext. 266 and provide name, town, email, and phone number.